Featured Posts plugin by BestWebSoft will be a great solution for large websites with a bunch of posts and lots of users who read them. This plugin will show the latest posts in your blog. 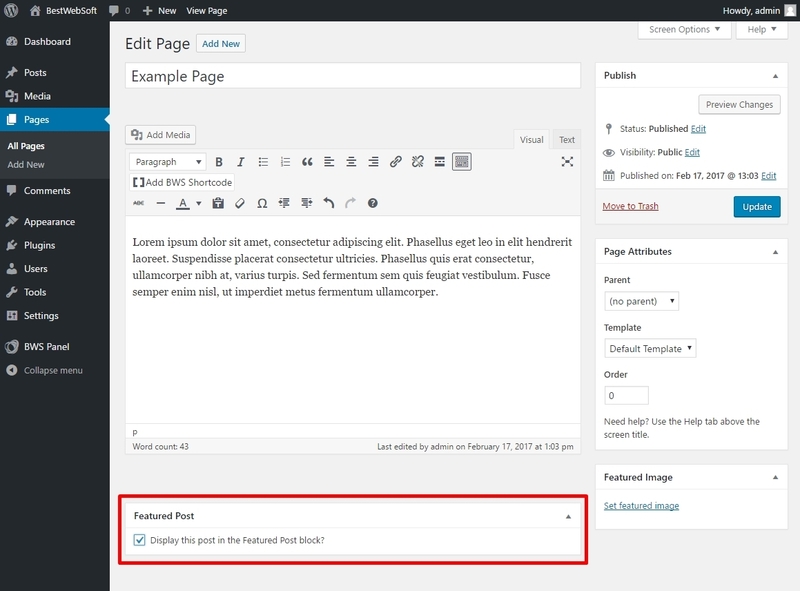 Featured Posts plugin gives you the ability to add and manage featured posts on your WordPress website. 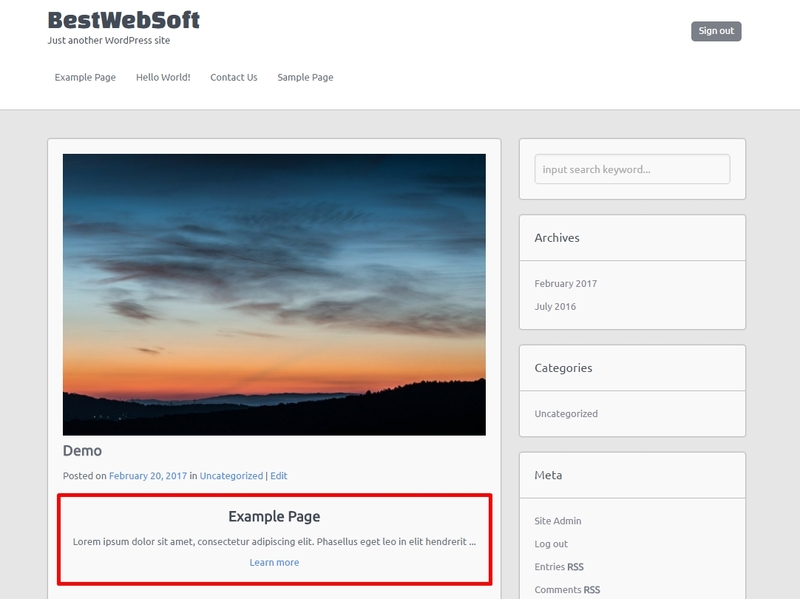 This plugin allows you to mark posts as featured posts, as well as to display them on your website with minimum amount of time and efforts spent. If you want to add Featured Posts to your post or page, please, mark ‘Display this post in the Featured Post block?’ and choose posts to be displayed using the post/page editing page. 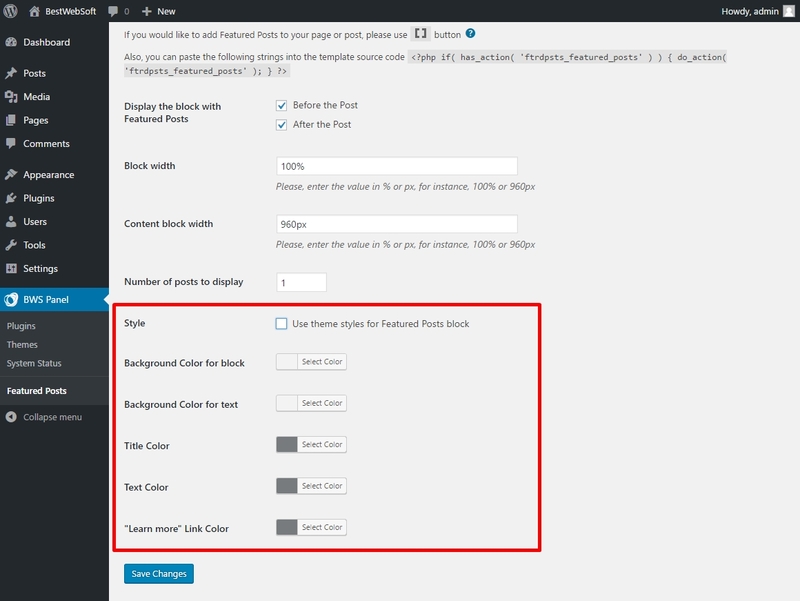 You can mark any post or page as a Featured Post as well as adjust your Featured Posts display in any theme. In addition, you can display the Featured Post block before or after the post, just mark the needed checkbox on the plugins settings page. You can choose a post/page in Featured Posts block every time when you reload the page. 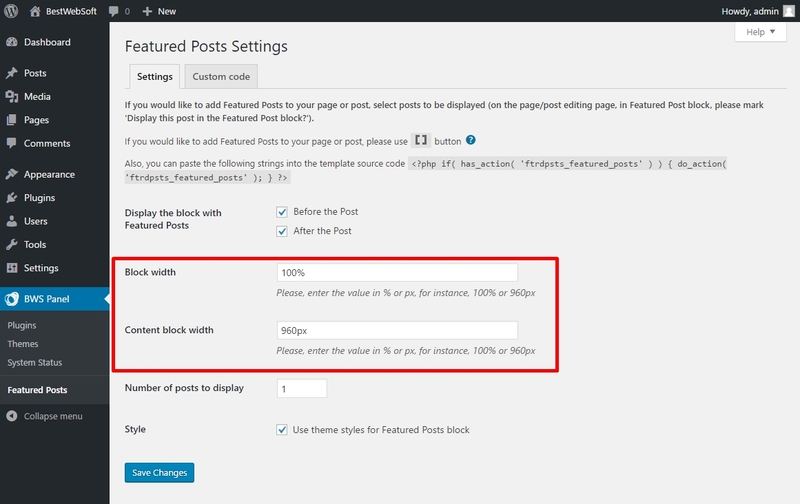 The Featured Posts block can contain an unlimited number of posts or pages to be displayed. Set the Block width and Content Block width on the plugins settings page. To customize the looks of your Featured Posts, click Style in the plugins settings page and pick any color scheme you like. Brand & Protect Your Content With PDF & Print!